Russian Defense Ministry's Chief of the State Defense Order Implementation Department said that Russia's first ice-capable patrol ship to be deployed to the Arctic will be laid down this year and is planned to be commissioned in 2019 at the latest. 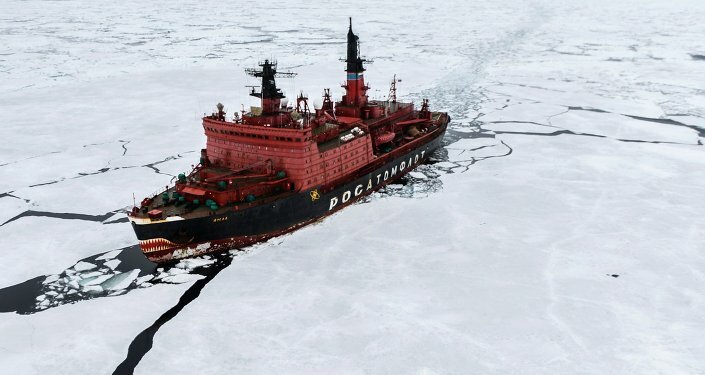 ST. PETERSBURG (Sputnik) – Russia's first ice-capable patrol ship to be deployed to the Arctic will be laid down this year and is planned to be commissioned in 2019 at the latest, the Russian Defense Ministry's Chief of the State Defense Order Implementation Department I rank Capt. Andrei Vernigora said Friday. "This autumn, ice-capable patrol vessels will be laid down, the contract has been signed. 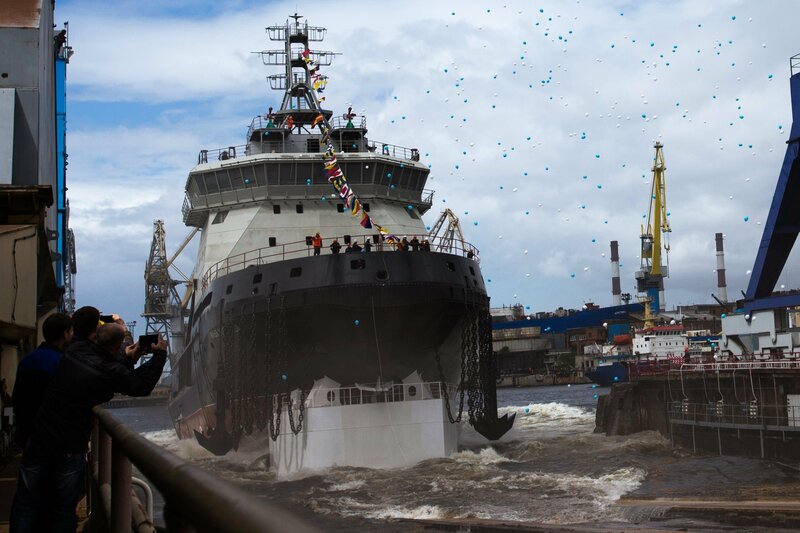 The first vessel will be commissioned in 2018 or 2019," Vernigora said during a launching ceremony for Ilya Muromets, Russia's first new icebreaker in 40 years. The new generation diesel-electric icebreaker Ilya Muromets being launched into the water from its drydock. The new generation diesel-electric icebreaker Ilya Muromets, designed for the Russian Navy, was launched at the Admiralty Shipyards in St. Petersburg earlier in the day. Russia has been stepping up its military, trade and exploration activities in the Arctic. It has been building transport and energy production infrastructure, as well as installing military facilities and developing the Northern Sea Route linking Europe and Asia.